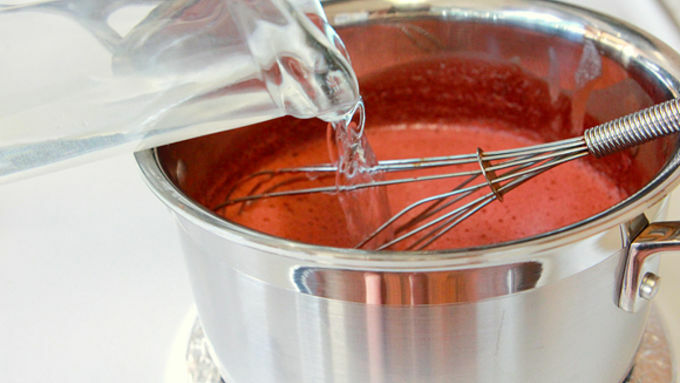 Place ice cream, butter, sugar, extract and gel coloring into a large saucepan. Heat over medium heat until melted. Stir in a few cups of water. Ladle into glasses (use smaller glasses for more servings, if desired). 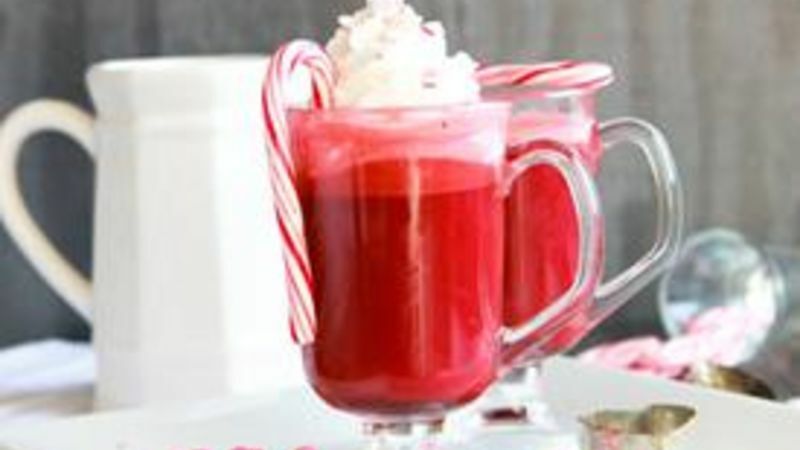 Top with whipped cream or whipped topping and garnish with crushed or whole candy canes as desired. Who wants a white Christmas? Such a thing is totally anti-fashion sense, anyhoo. No white after Labor Day, and all that. No way. We want pop. We want fizzz. We want styyyle all jazzed up around our holiday. We're just awesome-sauce like that, so claim it! Rather than whipping up regular ol' cocoa with white milk, all traditional-schmedicinal and plain, this year we're putting a festive twist on the classic winter drink -- and it's a bold one. Red, baby. Red! You ready? 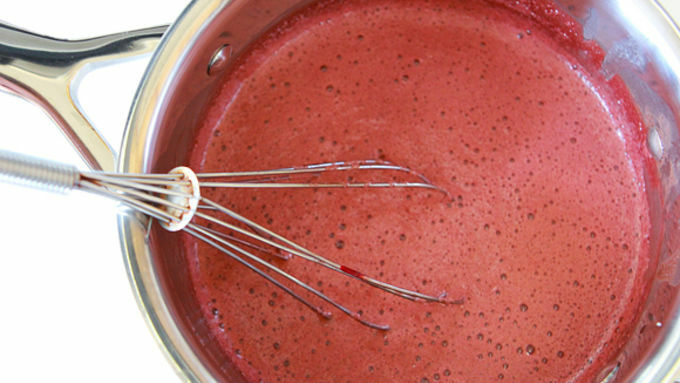 Here's how we're gonna rock it out, Red Velvet Cocoa style. Pour your piping hot, super luxey, Red Velvet Cocoa into pretty mugs. Top with whipped cream. Sprankle with crushed candy canes if you believe in over-the-top awesomeness -- then get your sip on quick. You bold and stylish sipper, you. 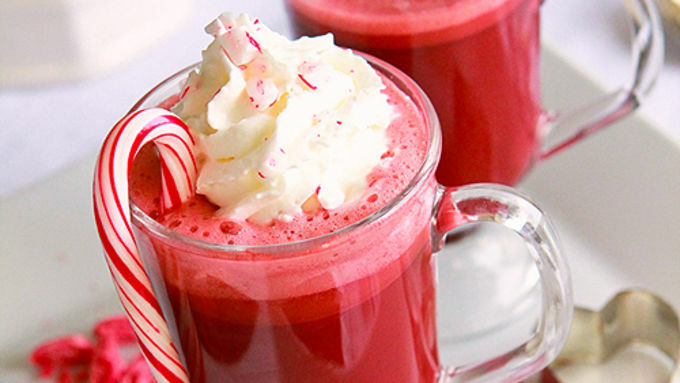 More Hot Holiday Sips Not to Miss Grab a mug and sip the holidays away with these delicious hot drinks.